THE WRITING BUDDHA - Opinions | Books | Movies: Happy World Book Day to all the readers, authors, sellers and publishers!!! 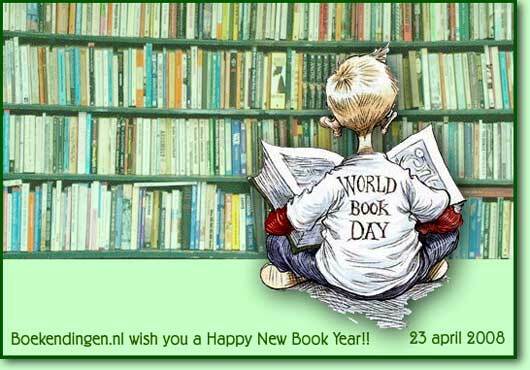 Happy World Book Day to all the readers, authors, sellers and publishers!!! World Book Day has been celebrated today and I did the same by reading a wonderful motivational book named "Be Your Own Pilot". Books have been the primary part of my life and therefore no other day is as important to me as this one. It makes me feel like a celebrity and I wish this world acknowledges me as one of the good readers in this world though I know that there are billions better than me. 3 days back, I had an argument with my mother when she asked me to attend a marriage. The reason for the high decibels was that I wished to complete a book that I was reading while my mother said that I had all life to complete that book and even others. That's how passionate and emotional I am when it comes to reading books and even reviewing them to make my other friends know about which books are worth reading and which aren't. I have a wonderful collection in my bedroom which consists of almost 500 books I think. I never counted them as I am afraid that then my target would be to just buy them to increase the counter rather than reading. I believe in putting my head inside any of the books I have and spend my time in peace rather than fighting against the chaos of this world. My friends often ask me that how do I manage to read a book in local train where we fight not against the crowd but almost againt the scorching heat in this summer. I tell them that's my way of running away from these problems which define your lives but not mine as I have books which are a better definition than a frustrated me because of factors which aren't in my control. My friends have often asked for books to read but I find it almost impossible to lend them any of the books as I have collected them with lots of passion and love. The moments when I saved money to buy each of my desiring books are still memorable to me and therefore, each books are not just a paperback product for me but a soul that shall always stay with me. I have lived each page of every book that I have purchased. I remember my moments when I stand at roadsides to select books from plethora of what those booksellers keep. The fun even in buying 2nd hand book isn't less than ordering/pre-ordering a new one from an online e-commerce store. The excitement of smelling a 2nd hand book and waiting for a new book whole day when ordered online makes your reading journey more adventurous and delightful. Thanks. Happy World Book Day to all the readers, authors, sellers and publishers out there.